This past week, I have been dipping a toe into the Google+ puddle. There are now links to it in the sidebars here and at Wild Fidalgo. If you are not aware, it is Google's new social network and answer to Facebook. Google has done a remarkable job marketing this thing. The word was out that it was limited, exclusive, invitation only. Just special people would be involved in the initial testing. Then, out of the blue, guess who got an invitation. Moi? If you get an invitation to the White House, Buckingham Palace or Google+, you don't say no. So, here I am with my own Google+ account. Obviously, it's not that exclusive. I have a Facebook account associated with the blogs. I read it was what you were supposed to do, but I never felt at home there. I did not find it particularly intuitive. The UI is cluttered and confusing. I wasted a lot of time with trial-and-error figuring-out how to make it work. Nothing is explained and the help pages are useless. I created a business page for the blogs, but that just added more confusion. It took me quite a while to realize that now I actually had two different streams running. I only want the business page to show, but I can't figure out out how to make that happen. I turned off all the pestering emails. The childish elements, games, etc. annoyed me. There have been constant criticisms of Facebook's privacy and practices. Seeing the movie The Social Network put a bad taste in my mouth. Facebook is obviously not my milieu. On the other hand, Google+ has been a pleasure so far. In general, I would characterize it as "Facebook for grownups." There is an elegant simplicity. I am running it in Chrome and it has a wonderful responsiveness and feel. Figuring out the lay of the land was very easy. When choices are selected, often a dialog pops up explaining "now this is what will happen with that choice." You can then change your mind before implementing it. Nothing is a mystery. Your entire profile is created on a single page and you can preview what the public sees before saving it. The "Circles" are what distinguish Google+. Think of them as folders for organizing your web interactions. It comes with default circles which include "Friends," "Acquaintances" and "Family." Put people into the circles and their posts will appear in that circle's stream. Posts can be "Public" or "Limited." If they are public, they will also appear in your main public stream. If limited, they only appear in the circle's stream. Only the members of that circle can see them. You can post in your "Family" circle without the whole world eavesdropping. 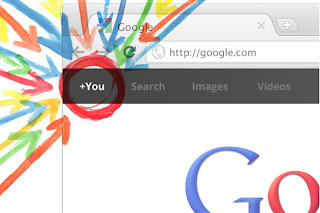 Unlike Facebook's groups and lists, Google+'s circles are effortless to master. To add members, simply drag their pictures into the circle and you can put them in more than one. The circle called "Following" can be used exactly like Twitter. Put blog and website G+ links there to follow their feeds. I created a circle called "Google+" that I use like a bookmark folder. Here I put links to tips and tutorial websites to help get the hang of it. If you don't add people to the circles, the feeds will remain private. I am also building a "Nature Blog" circle and inviting authors to join. If you have a Google+ account and would like to join the circle, send me your link. Your G+ posts will then appear in my feed. If you would like a Google+ invitation, send me your email address using my contact form. An address already associated with a Google account would be best, but not required. It will basically take one click to create an account. Some important points about circles: The people you invite cannot see your circles and they will not know into which circle you put them. You don't have to put every stranger who wants to share with you into a circle either. It has been fun getting acquainted with the Google+ platform in its infancy. They solicit feedback from users and I have already seen tweaks being implemented. In a couple of hours I was able to create more functionality than I ever did in all the days fussing with Facebook. So far, I am glad I signed up. I hope Google keeps it clean and streamlined, easy-to use and free of all the kid stuff. "Easy" is the best selling point of all. TG, yes, you did invite me. I sent a "thanks" via Twitter. That "in circles" list in the sidebar is not updating correctly. I sent them a "feedback" on it. Somewhere I read this is a "known issue." You are definitely in my "Friends" circle and your feeds are coming through loud and clear. Thanks.